It turned out to be a nice day. Sometimes when the weather is too good, it discourages people from attending indoor events. That wasn’t the case with the GVJCCA Honouring Our People book launch. The room was packed with about 60 people including about 15 storytellers and another three who were family representing storytellers who were in the book. Storytellers and co-editors. Roxanne Ryan back row, far left. Members of the Honouring Our People Book Committee were greeting people, people were chatting, and it was reminiscent of how this book started. On three days in September, 2009, families, friends, and survivors came together for the Honouring Our People: Stories of the Internment conference in Burnaby, BC, at the Nikkei National Museum and Cultural Centre. 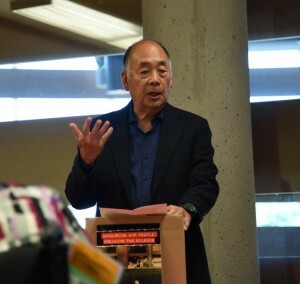 The conference paid tribute to the Japanese Canadians who experienced racism, alienation, betrayal, restrictions, uprooting and loss during and after WWII. We also acknowledged the resilience and perseverance shown by Japanese Canadians who not only endured, but often prospered after the war. 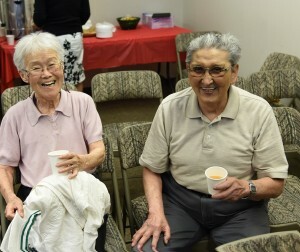 We created a safe space for a dialogue between generations, and descendants of survivors had the opportunity to learn more about their family’s history. 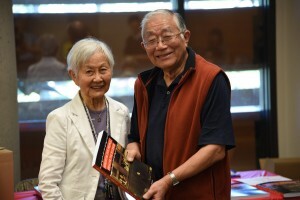 Tosh Kitagawa, another co-editor and storyteller, who led the work to obtain the funding for the book shared some of his experiences. Tosh and his family were interned on a sugar beet farm in Diamond City, Alberta. He gave kudos to Emi Kordyback, who was in the audience, for her work as chair of the conference organizing committee. Indeed, we owe a lot to everyone who worked on the conference. 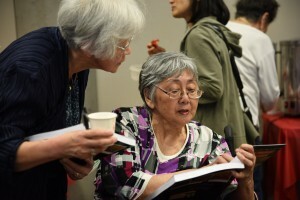 I noted that we have many people to thank including a list of volunteers, transcribers, our storytellers, my fellow co-editors, book designer John Endo Greenaway, and our editor Randy Enomoto. We acknowledge all the contributions to our book. 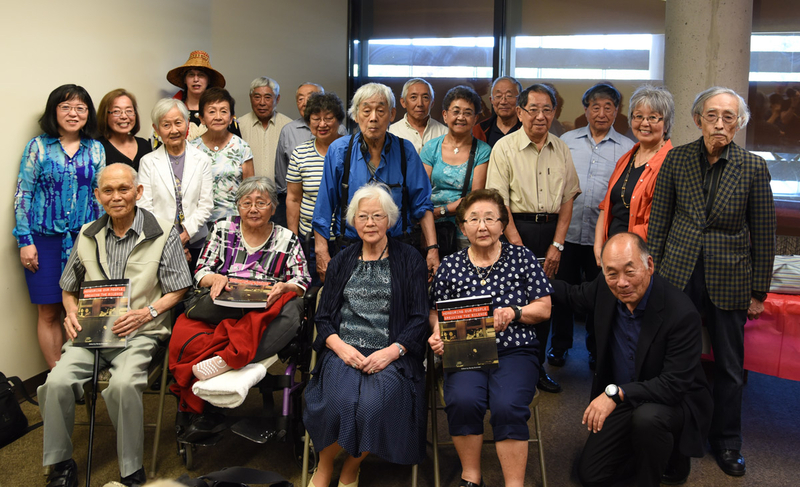 Honouring Our People: Breaking the Silence is where you will discover what happened to the 22,000 Japanese Canadians who were forcibly removed from their homes. We’ve included stories from people representing their various internment locations such as the internment prison camps and sugar beet farms. You’ll read some very personal stories, most of which are transcriptions of what the storytellers told us. Their voices convey their joy and pain, and allow you to share their laughter and tears. Sadly, we have lost some of our storytellers in the book: Harry Aoki, Teruo Ted Harada, Emi Hirata, Jiro Kamiya, Isabel Kimoto, Yukio Tony Nasu, Bob Nimi, Dr. Nori Nishio, Seichi Bill Tahara, Dr. Teiso Uyeno, David Yamaura, and Yonnie Yonemoto. At the launch, we expressed our gratitude to them for sharing their voices, the gift of their stories, and extended our condolences to their families. 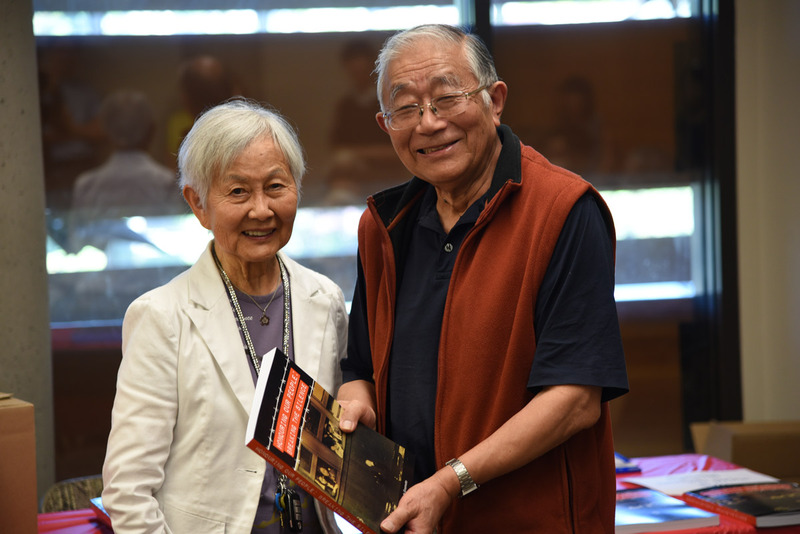 We were fortunate to have a few family members present who were able to receive a copy of the book, and each co-editor was also pleased to acknowledge and present some storytellers with a copy of the book. For those storytellers in the book who weren’t able to attend the launch, we will be sending a copy of the book to them. Our launch ended as it began, on unceded traditional Coast Salish territory with a special Aboriginal greeting of words and drumming by Roxanne Ryan. The gathering continued with refreshments including a special cake with the cover of the Honouring Our People book. The storytellers and members of the book committee got together for a group photo, and there were lots of conversations as people looked at the photos and read over the stories in the book. With Honouring Our People: Breaking the Silence, we are hoping the stories will be shared, and be the inspiration for continued storytelling and for creating the opportunities for dialogue and learning. Postscript: Our first printing sold out and we will be going to a second printing. We will be selling the book at our GVJCCA community booth at Powell Street Festival on July 30 and 31. Honouring Our People: Breaking the Silence will also be sold at a few locations including the Nikkei National Museum & Cultural Centre. The book price is $24.95 plus GST.